Welcome to Married Life: Tea Collection Summer Sale is on Now! 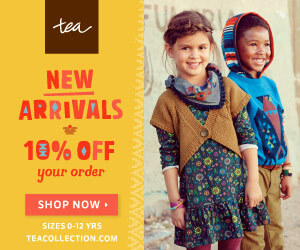 This is Tea Collection's Semi Annual sale and the clear out of destination India! Prices are up to 50% off. Plus use code SUMMER20 now through Monday (6/22) for an additional 20% off. Don't miss the unique designs from India in soft cotton tees and fun twirl dresses. PS. Did you know they even have styles for women?